This heavenly pair of cross earrings is from the Roberto Coin Tiny Treasures collection. 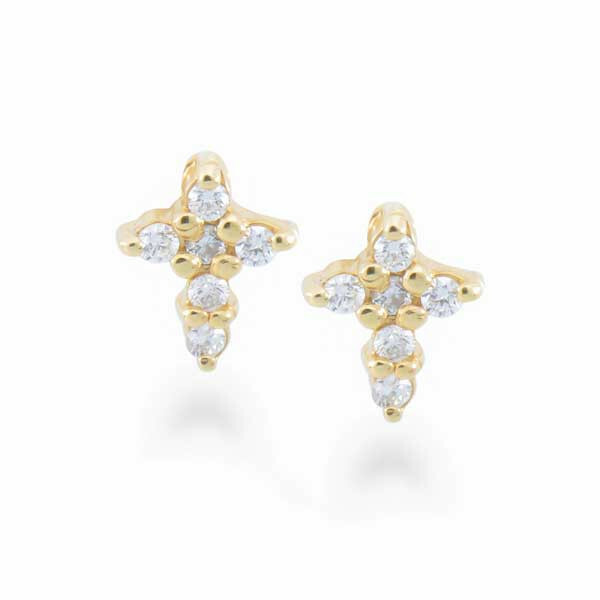 Each earring is set in 18kt yellow gold and dappled with delightful white diamonds which glitter joyously. 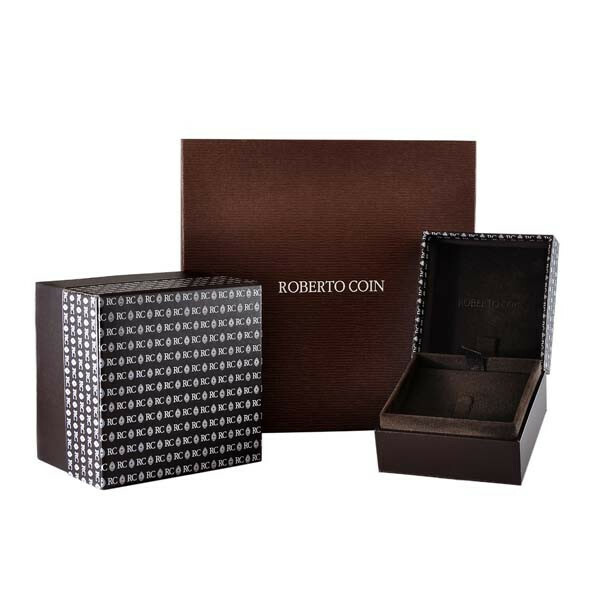 These Roberto Coin stud earrings are the perfect gift for a confirmation or baptism.